The deep learning revolution has lead to significant advances in the state-of-the-art in computer vision and natural language processing. For mobile robotics to benefit from the fruits of this research, roboticists must ensure these predictive algorithms are not only accurate in dynamic environments, inclement weather and under adverse lighting conditions, but that they also provide some consistent measure of uncertainty. 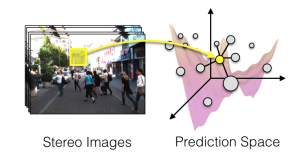 In many cases, what is sufficient in a computer vision context is significantly deficient for use in mobile robotics, and vice-versa. 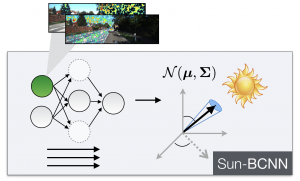 For example, an object classification algorithm with an accuracy of 95% may be sufficient to reach the state-of-the-art on some computer vision datasets, but may be completely unusable for safety-critical mobile autonomy applications. 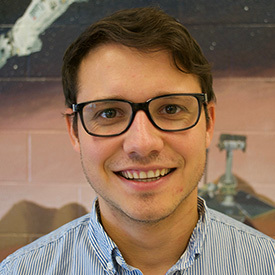 Conversely, an algorithm with an accuracy of 30% may be deemed unsatisfactory for many computer vision tasks, but may be more than enough for mobile vehicles, if it operates at high frequency, and produces consistent uncertainty estimates that can be used to eliminate poor classifications. 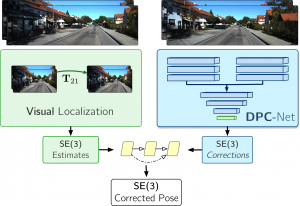 DPC-Net corrects classical VO estimates by learning SE(3) corrections from input images. Robotics and Automation Letters (RAL) and ICRA (2018). Sun-BCNN regressed the 3D direction of the sun to improve stereo VO.